Operating Temperature: -40 to +125 Deg. Cel. We are offering Damper Resistor to our client. "Vaiseshika" DC STANDARD RESISTOR 9409 has been designed and fabricated to meet the standard calibration requirements. 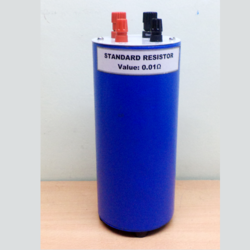 These Standard Resistors can be used for calibration. We are engaged in supplying a wide array of Resistors to our clients under the brands Dale, State of the Art and Vishay. 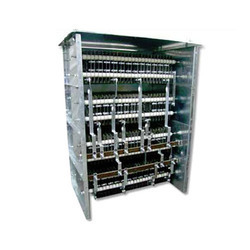 These products are used for implementing electronic resistance in various circuits of the devices. We have procured these products from leading importer & exporter , who use quality raw material & high-end technology. Rheostat of excellent quality. They are wound with heavily oxidized resistance wire upon a vitreous enameled steel tube. The winding is locked into place with ceramic cement. The tube is carried upon robust enameled die-cast end stands. 4mm socket terminals are fitted, allowing for rheostat or potentiometer connection. Our company is engaged in providing a wide range of Precision Resistor, which is resistant to high insulation. These resistors are widely used in various electronic companies. Moreover, we offer these resistors in industry leading prices. Specification : Ohmic Range 0.01 to 500K ohms. Tolerance ± 0.5%, 1%, 5% and 10%, Power Rating 0.5 W to 5000 W.
Highest grade Nickel-chrome and copper Nickel Alloy wires are used Mechanically uniform, tension and required spacing. Single, Double Multiple Grade and Non-Inductive. We are a trusted name in the field of standard resistors in manganin wire, which is used as standards for testing and calibration. Our range of wire wound resistors are available in both standard basis at cost effective prices.